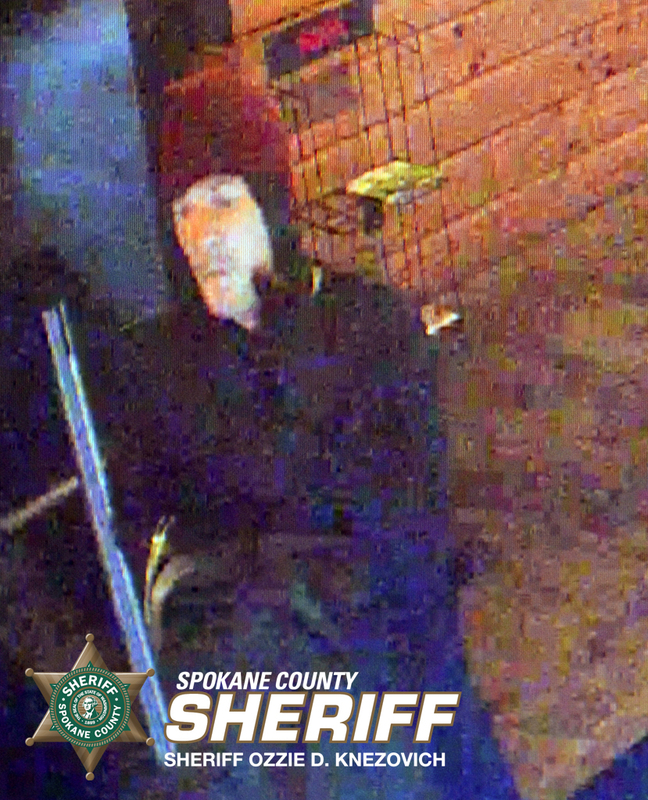 UPDATED: Thu., Aug. 6, 2015, 3:11 p.m.
Update: The Spokane County Sheriff’s Office released a photo and video of a man they believe was involved in Monday’s robbery, taken from a surveillance camera at Greenlight. Spokane County’s leading marijuana retailer was robbed Monday night in what Sheriff Ozzie Knezovich called a “takeover-style” crime. “We’re taking this very seriously,” Knezovich said Wednesday. Greenlight, at 10309 E. Trent Ave. in Millwood, routinely reports sales of around $20,000 daily to the Washington Liquor and Cannabis Board. General Manager Brandon Mulvey said two people came into the store armed with guns, handcuffs and zip ties at closing time Monday night. Two employees and a customer were bound inside the store while the robbery occurred, Mulvey said. An undisclosed amount of cash and marijuana was taken. Mulvey said it’s the first time the store has experienced any criminal activity since opening in September. “Everybody is physically fine,” Mulvey said. The store closed Tuesday and Wednesday to deal with the fallout from the robbery, with plans to reopen during normal business hours today, he said. Some employees chose not to stay with the store as a result of the crime, Mulvey said. “It had a pretty negative impact on the staff as a whole,” he said. Surveillance cameras captured the robbery, including one of the robbers putting on a mask outside the store, Mulvey said. The store uses a video surveillance system that rivals those used by banks, he said. “We went a little bit above and beyond what is required by the state,” Mulvey said. Knezovich said his investigative captain has been assigned to the case. “They didn’t really go after the cash, they went after the product,” the sheriff said. No arrests have been announced in the case, but Knezovich said detectives are acting on leads, declining to offer further details. A robber also was captured on camera demanding money and pot at knifepoint at Spokane Green Leaf, a shop off Country Homes Boulevard, in March. Anyone with information on the Greenlight robbery is asked to call Crime Check at (509) 456-2233. Published: Aug. 6, 2015, 3:11 p.m. Updated: Aug. 6, 2015, 3:11 p.m.